Istanbul Park in Turkey must be one of Felipe Massa's favourite tracks on the F1 calendar. It was the setting for the Brazilian's first F1 win back in 2006, he has won three out of the five races at the track, and has a pole position to go with each victory. In 2006 Massa comprehensively outraced Michael Schumacher, his Ferrari teammate at the time, who was in the middle of a title battle with Fernando Alonso. This weekend F1 makes its sixth visit to Istanbul, and Massa still has strong memories of that first victory. “I remember everything, I remember all of practice, qualifying, the beginning, middle and end of the race, because the first victory is very special. I will never forget that race. Dominant victories followed in 2007 and 2008, as Massa's stock as a driver and potential world champion began to rise sharply. However, in 2009 the Ferrari was substantially off the pace of the dominant Brawn GP cars, and Massa finished the race in sixth place, nearly 40 seconds behind winner Jenson Button, putting an end to his impressive winning streak. Massa does have certain tracks that he always seems to perform particularly well at. He also has two good victories in both Bahrain and Brazil under his belt, and if he can get his F60 set-up well this weekend, then he has as much chance as anyone to claim… third place. Monaco confirmed what many suspected: the Red Bull car is the class of the field. With Mark Webber hitting winning form at just the right time, it seems that only reliability problems can stop him and Sebastian Vettel hogging the top two steps of every podium for the rest of the season. In fact, it is only a combination of the new points system, and the reliability problems that have plagued Vettel in particular, that mean the Red Bull duo are only three points clear of Fernando Alonso and eight points clear of Jenson Button in the driver's standings. McLaren managing director Jonathan Neale, however, thinks that his team can catch the front runners, eventually. “Red Bull have a quick car and they have the upper hand but I am confident that won't be the case by the middle of the season,” he told the BBC this week. Jenson Button had a weekend to forget in Monaco where he overheated behind the safety car while his side-pod was left blocked by a forgetful mechanic. Lewis Hamilton managed to get fifth place in Monte Carlo, but while being one of the most exciting drivers to watch so far this season, is yet to win a race in 2010. One surprise so far this year has been the performances of Robert Kubica, who impressed again with a podium in Monaco. The Renault team looked lost towards the end of last year, in the wake of 'crashgate', the resulting exit of Pat Symonds and Flavio Briatore, and the withdrawal of funds from the French car manufacturer, but they and Kubica have performed above expectations so far this year. It will be tough challenge for Renault to score big points in Turkey, but they'll be just behind the frontrunners, waiting to take advantage of any problems affecting the big teams. Despite having his sixth place taken away by the Monaco stewards (unfairly, some might say), Michael Schumacher showed he had taken another step towards returning to his pre-retirment form. Stealing a place from a napping Alonso was symptomatic of the opportunistic driving style and sharp racing instincts he showed in his heyday. Mercedes will need a miracle to collect a win in Turkey – the still seem off the pace of Ferrari and McLaren, not to mention Red Bull – but with Schumacher now firing on something resembling all cylinders, and Rosberg determined to keep the seven-time world champion in his sights, Ross Brawn and the team can be optimistic of closing the gap on their rivals. Incidentally, Turkey is one of only five races on this year's calendar that Michael Schumacher has never won – and he is yet to even started a race at the other venues (Valencia, Singapore, South Korea, and Abu Dhabi). Two teams that are in particular need of a good race in Turkey are Williams and Sauber. 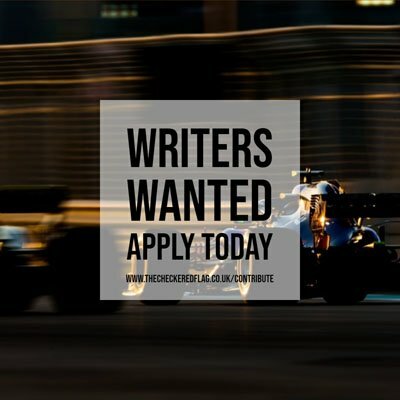 Nico Hulkenberg and Rubens Barrichello left Monaco with a bag of bits (to quote BBC commentator Martin Brundle) at a race where Williams were hoping to secure a big haul of points. Kamui Kobayashi and Pedro de la Rosa had their races ended prematurely by reliability problems – again! Unlike many of the other new circuits that have appeared on the F1 calendar in recent years, Turkey has big elevation changes throughout the lap. It can also boast a mixture of fast and slow corners, and long straights, all of which make car set-up tricky. It is also run anti-clockwise, making it a bit of a pain in the neck for any driver not pulling their weight in the gym. No preview of a Turkish Grand Prix is complete without mentioning the famous turn eight. This triple-apex corner is a challenge to the drivers, who face 4-4.5g of lateral loads as they go through the left-hander at over 160mph. This year, there is the added complication of trying preserving tyres while carrying a full tank of fuel through the most famous corner-without-a-name in F1. And finally, like the other F1 rookies, Hispania's Bruno Senna knows this track well from his GP2 days. However, 2008 was memorable for the Brazilian for all the wrong reasons: his race ended when he inadvertently hit and killed a stray dog. Footage of this incident is available on a popular video sharing website – but those of a sensitive nature should probably give it a miss.